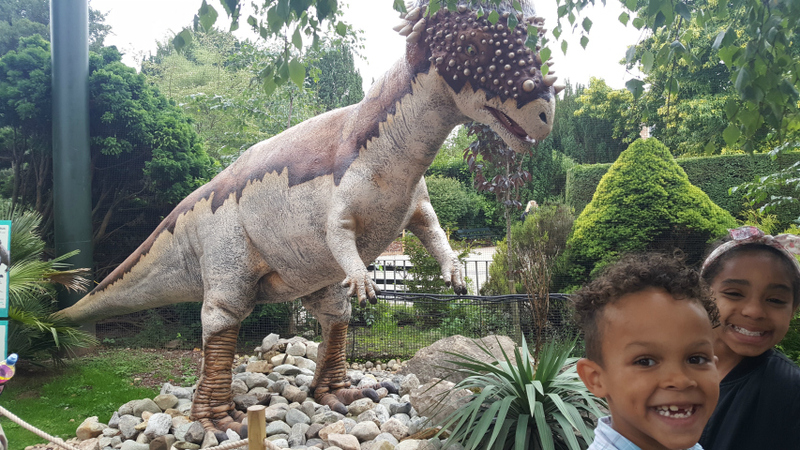 We went to Bristol Zoo Gardens Friday, primarily to see Dinomania as Aaron's always been a fan of dinosaurs but little did I know the amazing effect the zoo would have on my little 18 month old Lottie. 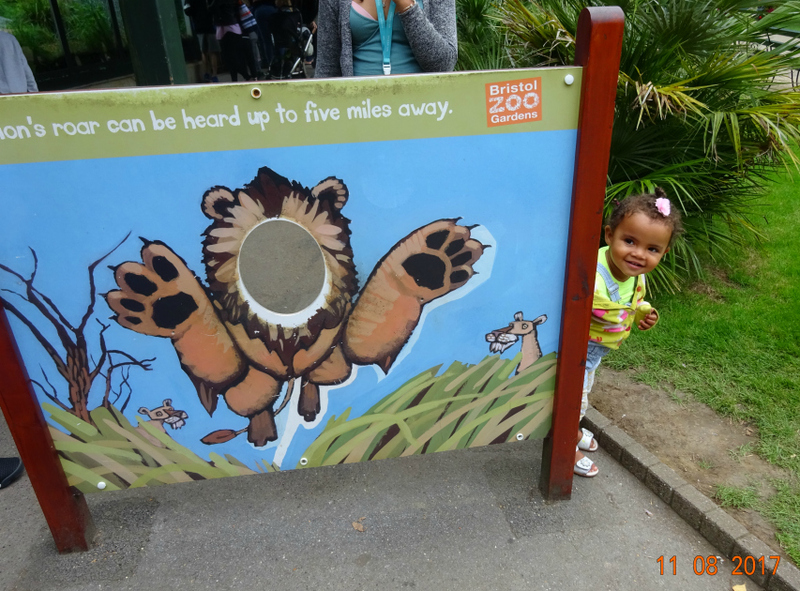 Especially as it was her very first time at a zoo bless her. 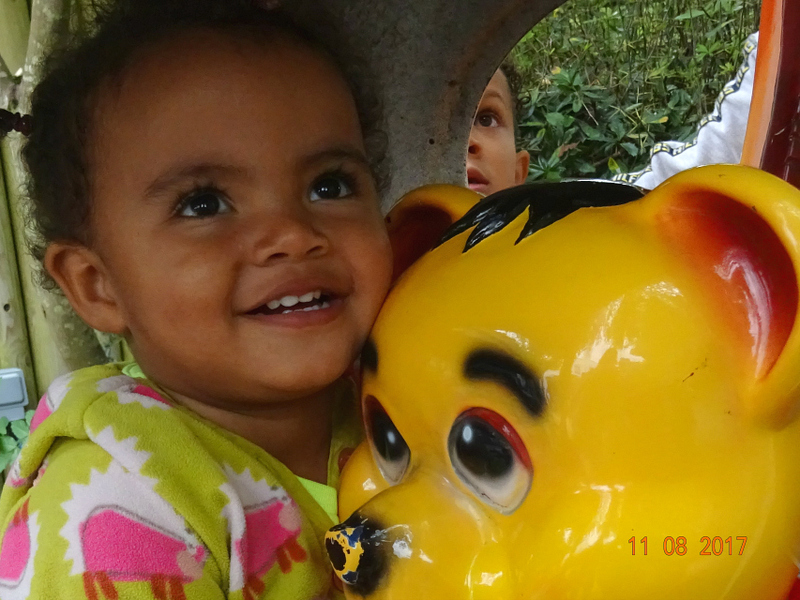 She was in awe, she was entranced, she was captivated and she was ever so animated, all day. 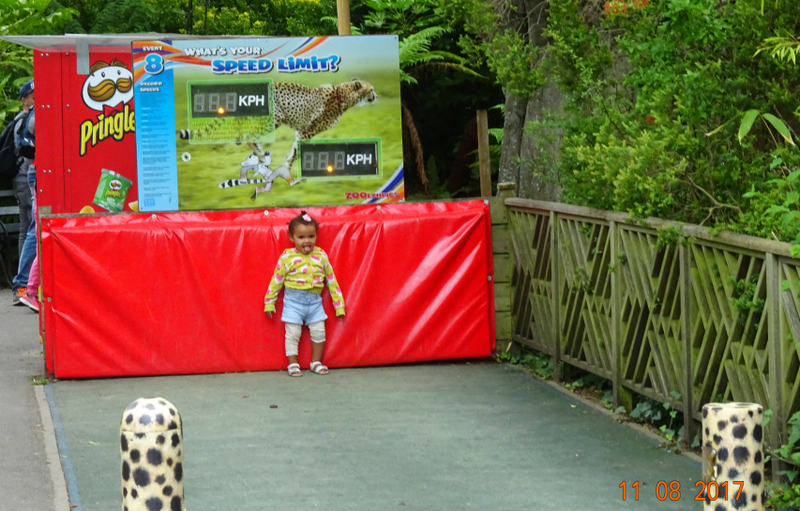 So if you have a toddler, don't feel that they're too young to enjoy it. Wow she was in her element. 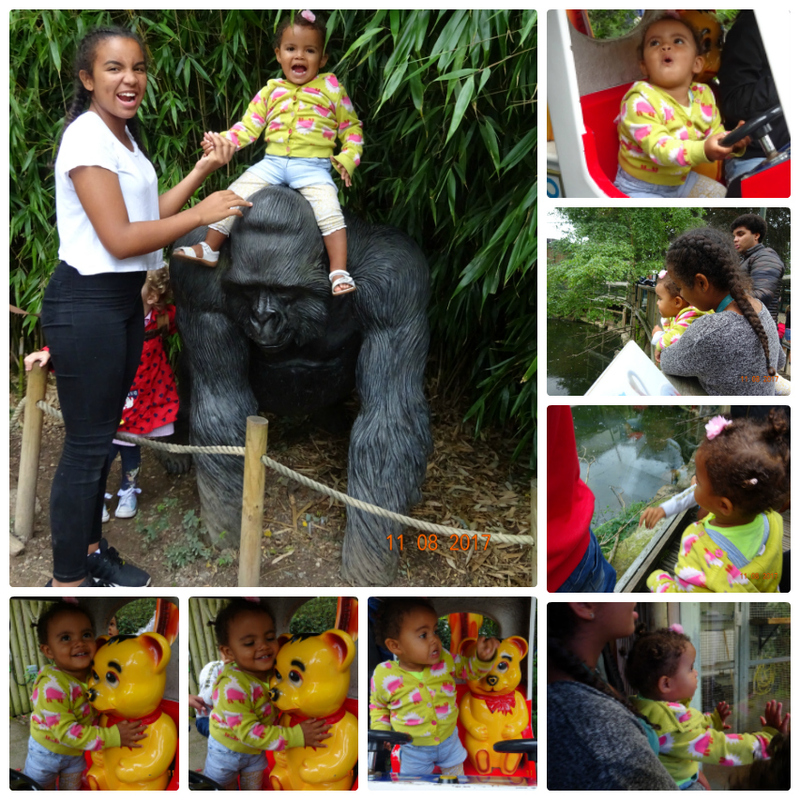 Lottie and her God Mother cousin are both growling in the pic where she is sat astride a Gorilla - Bristol Zoo is famous for its gorillas. Oh and based on how VERY beautiful the horticulture is throughout the zoo I now understand why their full title is Bristol Zoo Gardens and deservedly so. 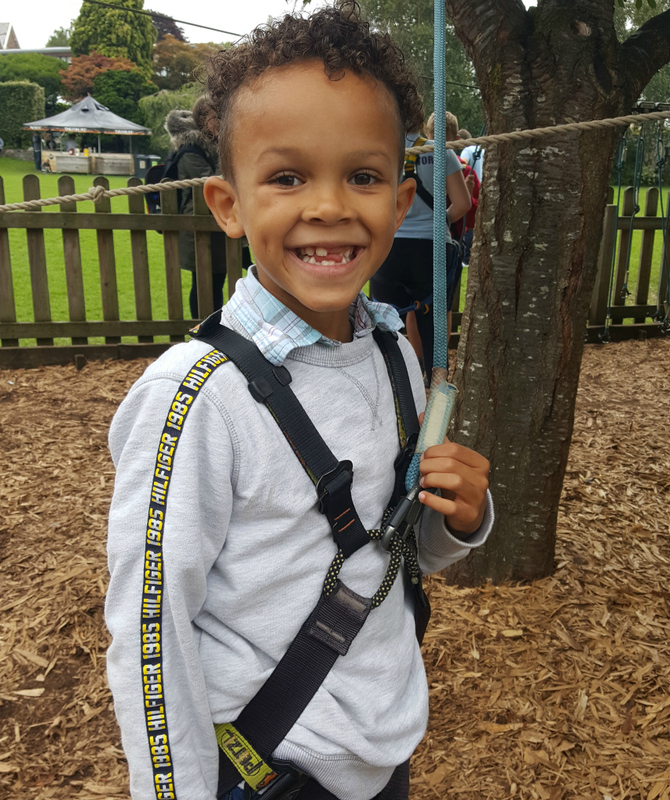 We looked at lots of animals and then stopped for a picnic lunch, but throughout lunch all Aaron would talk about was Zooropia as his cousins all did it during their last visit in 2014 and he was devastated he was too young at the time, so boy did he want to make up for that this time. I detect a slight look in Aaron's face that now he has his harness on he is slightly unsure, above, but going round he didn't have any wobbles at all and was completely unfazed. At the end all he could say was that he wanted to do it again. I was just about to say no, but the team member taking his harness off said "a second go is half price" so yep, he did it twice. And loved every minute of it. Clearly! As this pic below shows awwww! Finally we started heading for Dinomania. A year or two ago Aaron would have been running over there, but now he was grumpy about seeing them as he kept saying "they're not even real" so I am so so so very glad I did not know that they're actually animatronics as it meant that this came as a delicious surprise. 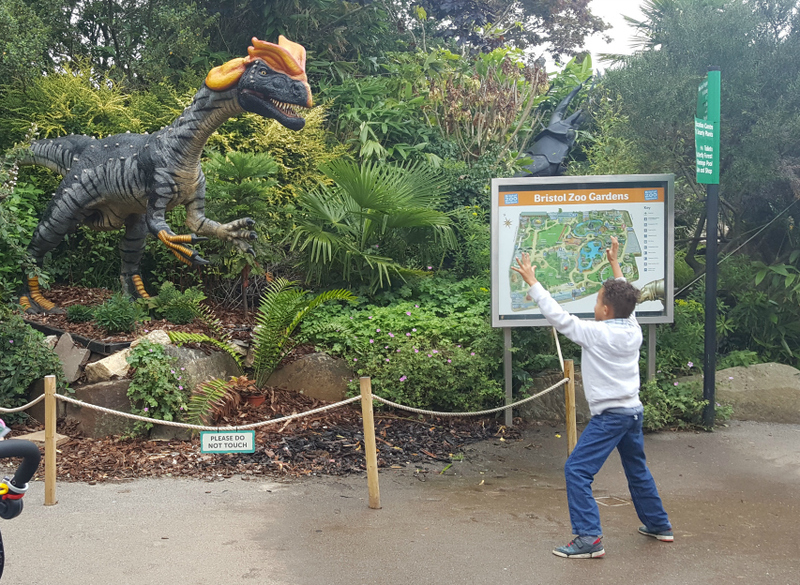 Bristol Zoo have brought the dinosaurs over, all the way from Texas and wow are they amazing. 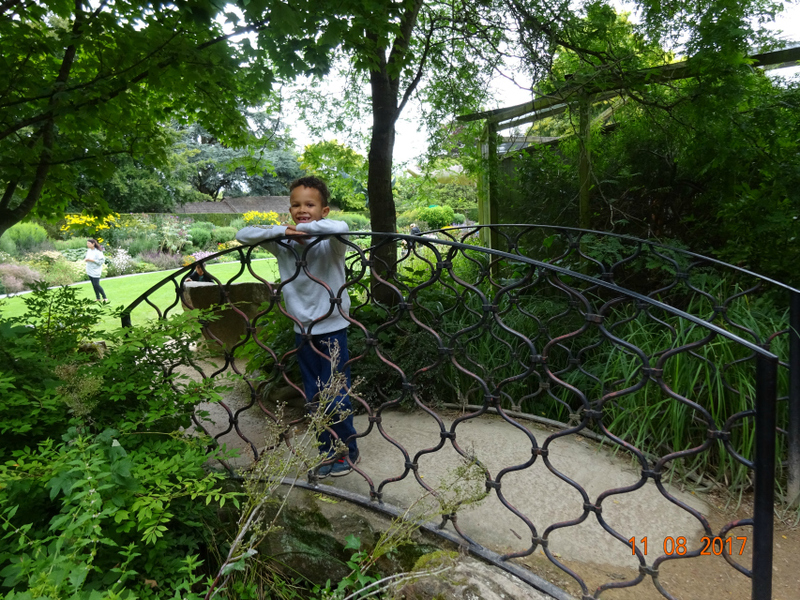 I really wasn't kidding when I said that Bristol Zoo has parts of it that are like a botanical gardens. This bridge just blew me away and it's in the very heart of Dinomania's current home for the Summer. 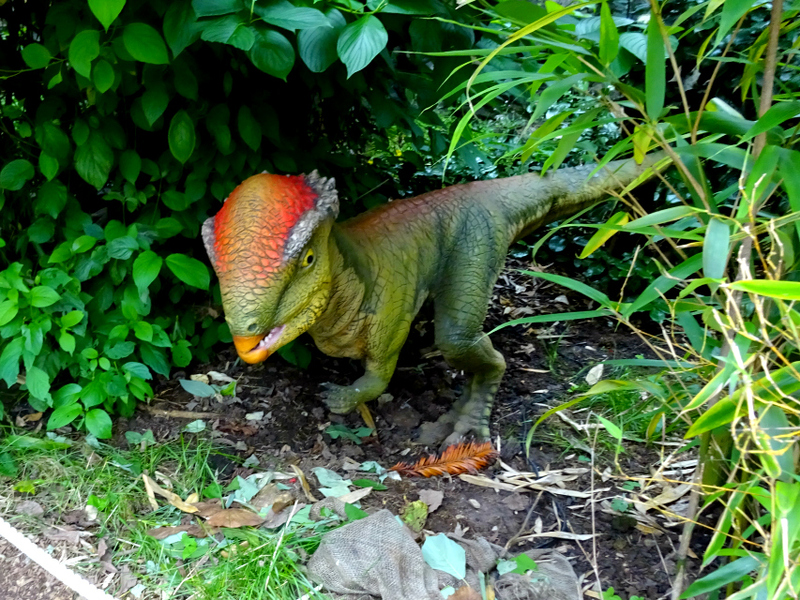 The next Dinosaur we met on our trail was the Giganotosaurus, below, which we looked at for quite a while. As well as moving its mouth and tail it comes down low and goes back up high necked if you stand there long enough to watch the whole cycle. I don't think I've ever seen animatronics in real life before so I was as captivated as the kids. 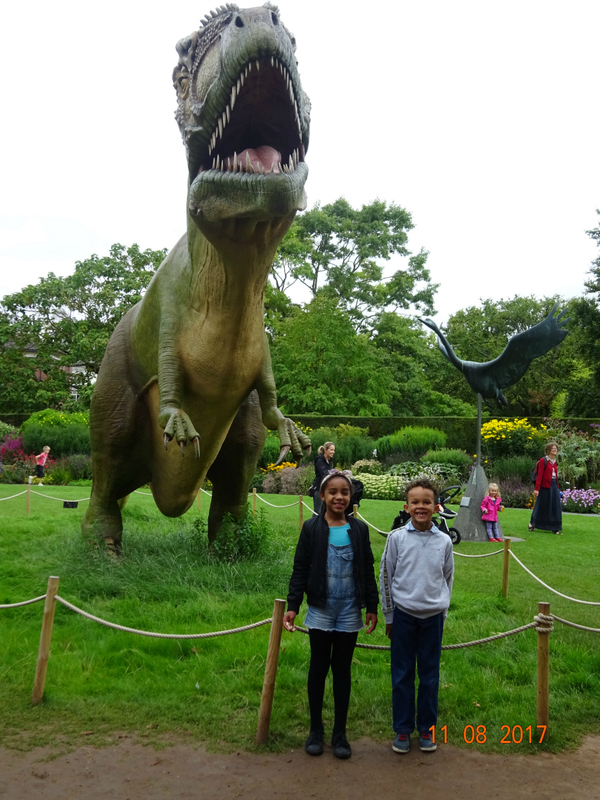 What they also loved was the thrill of running around and finding all of the dinosaurs. They're all sufficiently far apart that they got to hunt out each one and have a good sprint while doing so before squealing with delight "found one". You'll see this to better effect when I get a video up. We did this with the map so they loved looking up the name of the one we were now at. 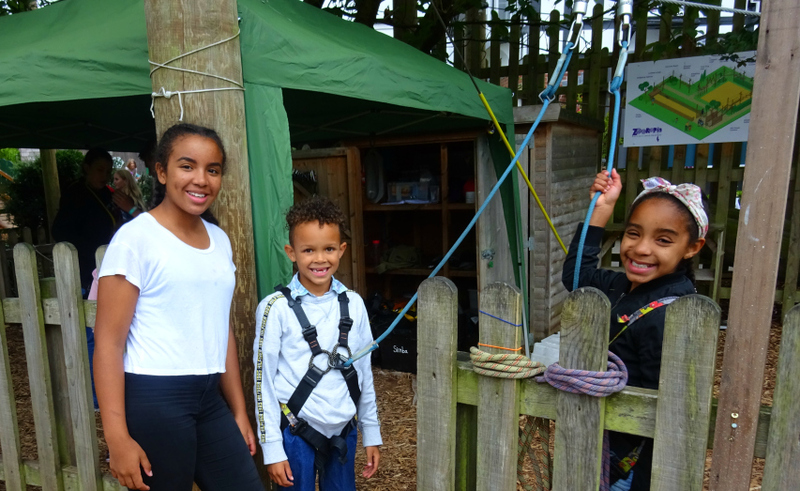 With our excitement to find them all we completely forgot about the Dino Hub Activity Centre and therefore stumbled upon it accidentally. 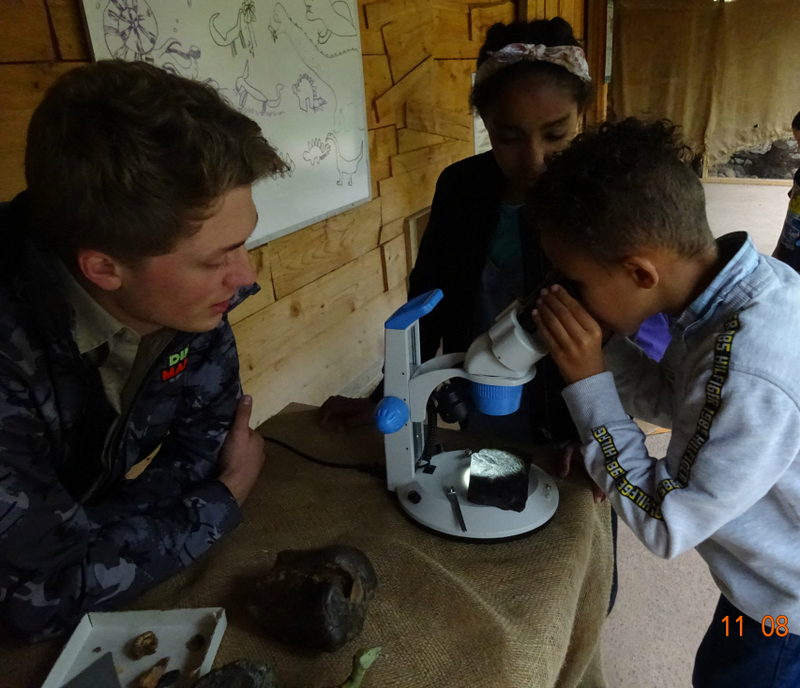 Very glad we did as there was so much to do in there and the Zoo Ranger in there was fabulous with the kids. 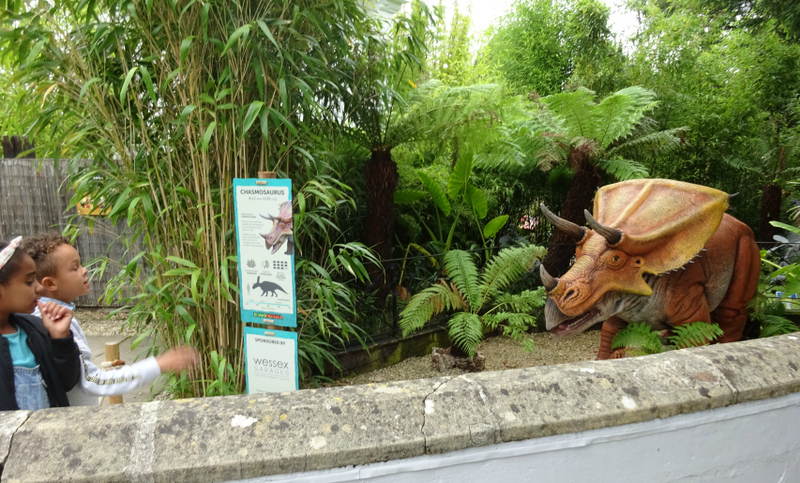 We then found the 2 smallest Dinosaurs in the exhibition and I have to say I found these the most lifelike. Can't wait to see what my footage of them is like but here for now is the Stegoceras. Next up the Chasmosaurus, below, which to me looks quite rhino like yet that's not reflected in its name. The fact that all of the dinosaurs are animatronics and therefore move is so worth it. 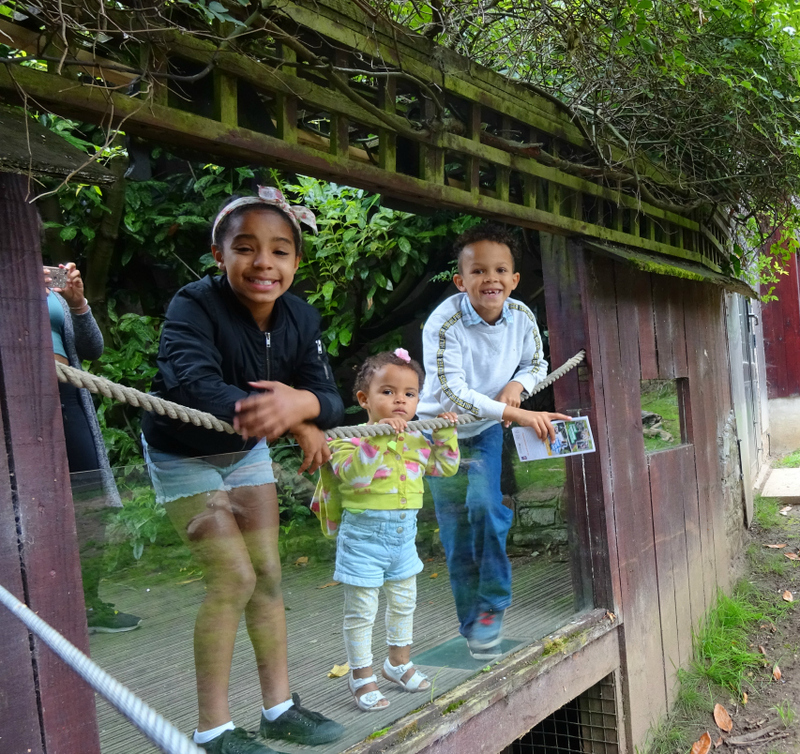 Well done Bristol Zoo Gardens they're a huge hit with the kids. 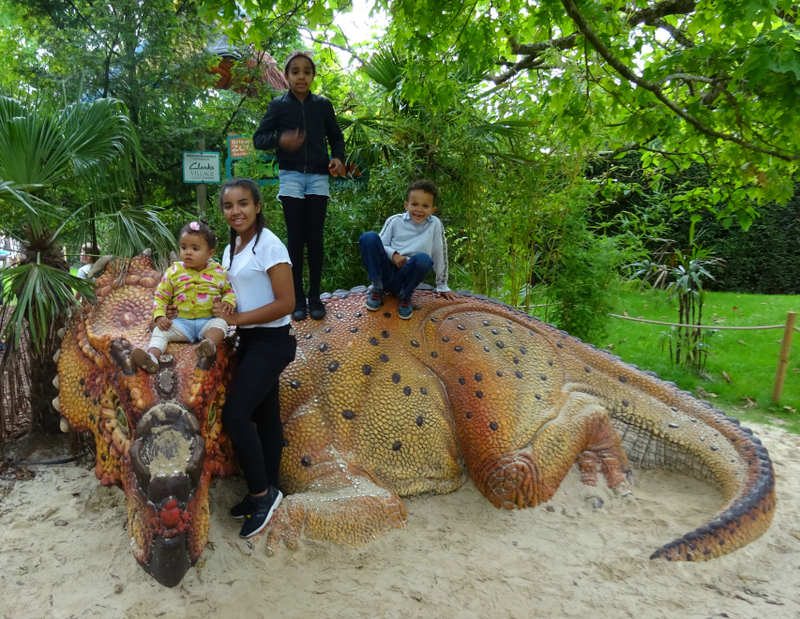 If you get yourselves to Bristol Zoo be sure to visit the Activity Centre: Dino Hub in Dinomania. Sooooo much to do in there and gave me a break from the racing and chasing of Dinosaur hunting. There's a great Zoo Ranger in there too and the conversations he has with the kids are very educational. 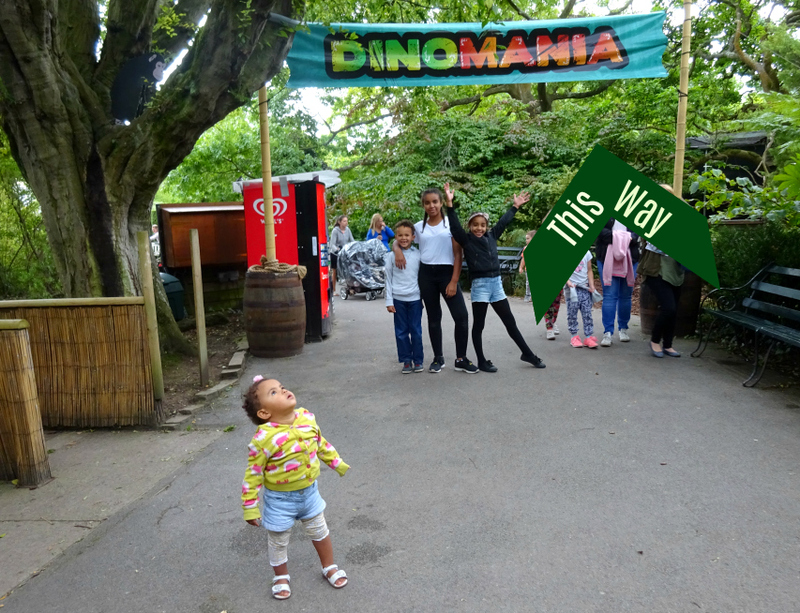 I don't think I can do Dinomania justice with a blog post so there's only one thing for it or rather two! One, I need to edit my footage and make a youtube video of our day and you, dear reader need to visit so you can see for yourself, how great it is. Disclosure: our entrance was complimentary in order to review Dinomania.